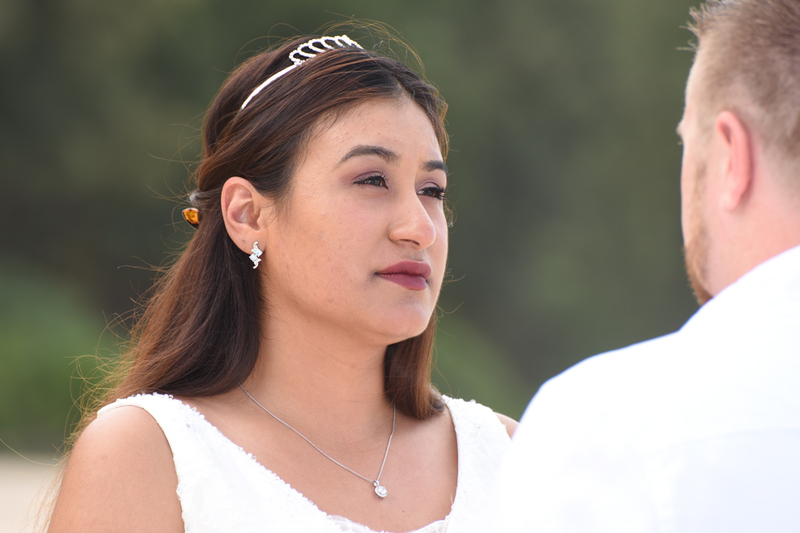 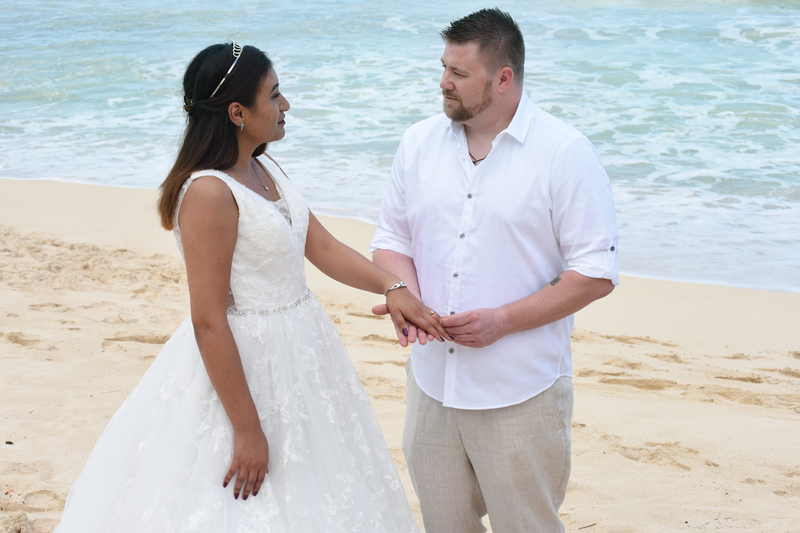 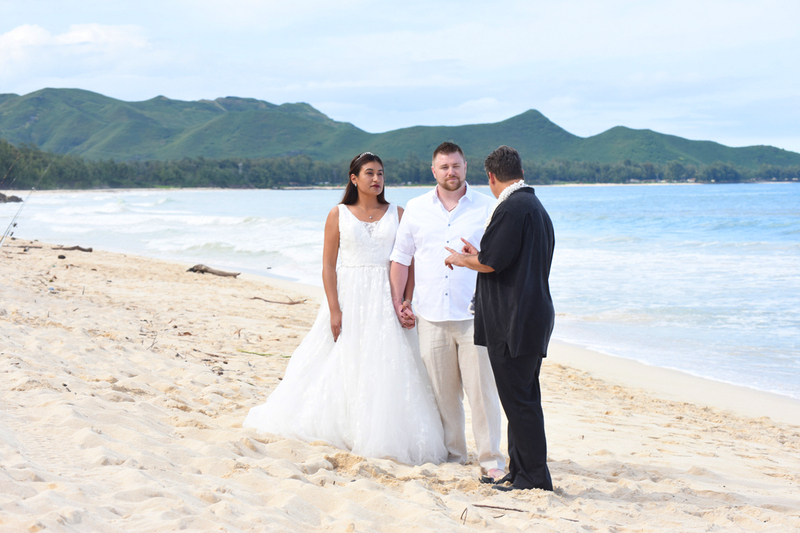 Rev David officates the ceremony for Jared and Rosa at Waimanalo Bay. 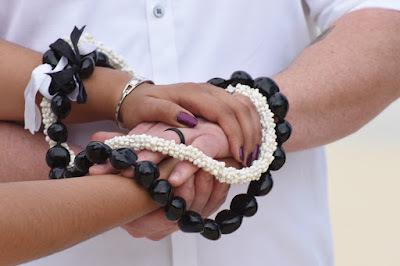 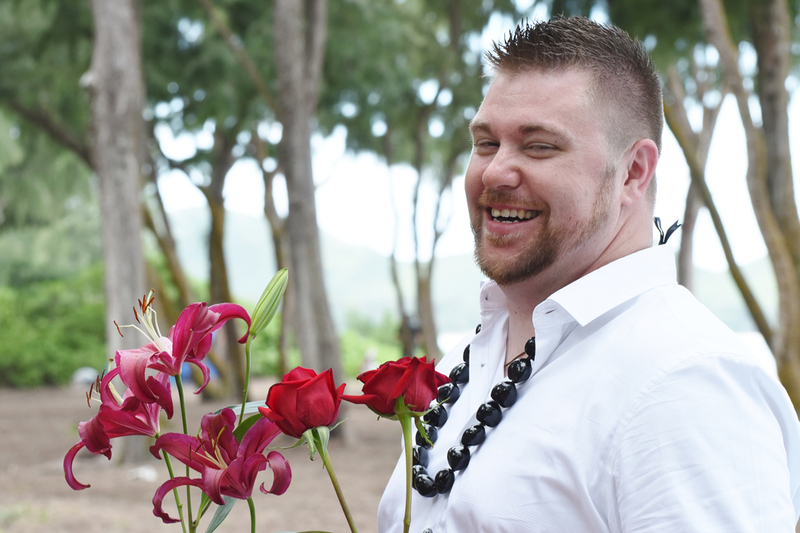 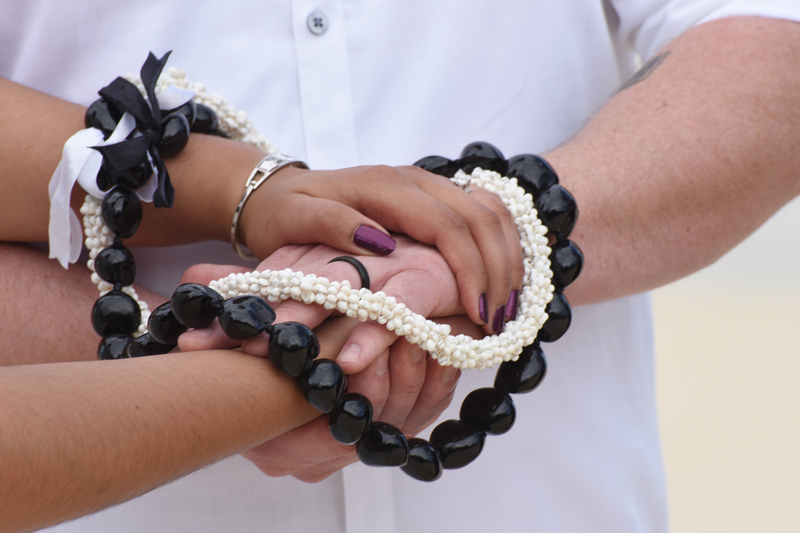 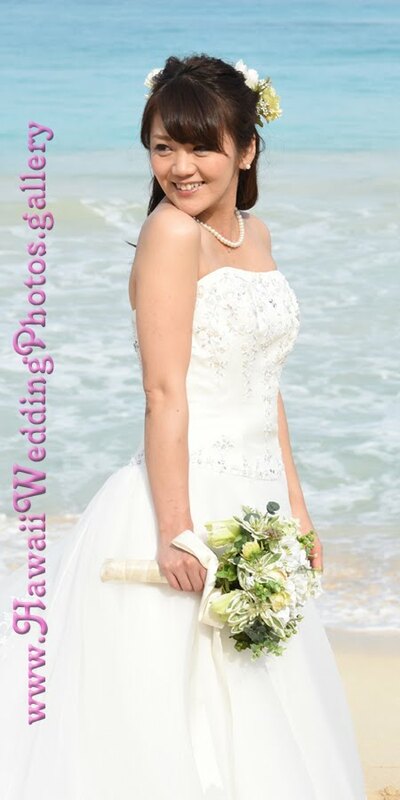 Wedding Minister adds a nice touch with the Groom's kukui nut lei and Bride's white shell lei. 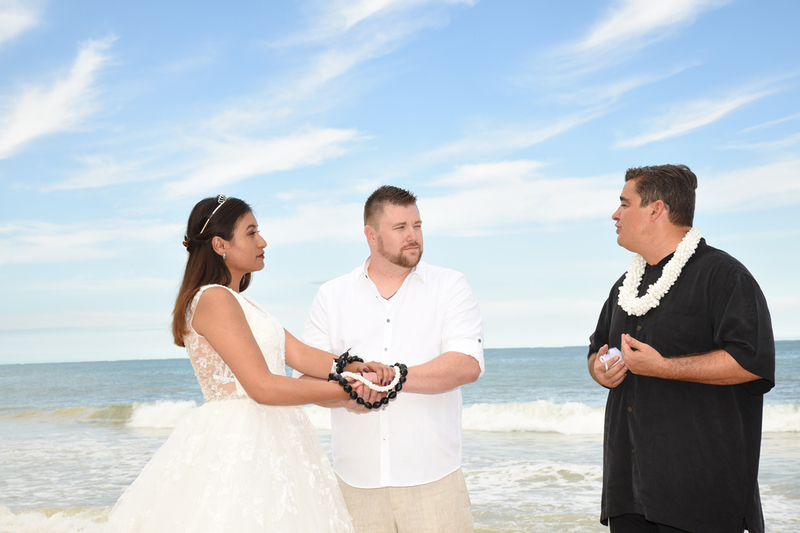 Wedding ring exchange is a nice tradition that symbolizes getting married, recognized the world over.